For those of you who are wondering, “what is SIF?”, you may know the group by its former name PFACS (Project Funds Allocation Committee for Students). This year, PFACS was renamed SIF (Student Initiative Funds). SIF is a committee of student leaders from all faculties, the RSU, CESAR, Graduate Students and the Office of the Vice Provost, Students who work together to allot funding towards student groups that aim to develop the community at Ryerson, enhance student life beyond academics and positively promote the image of the school and beyond. 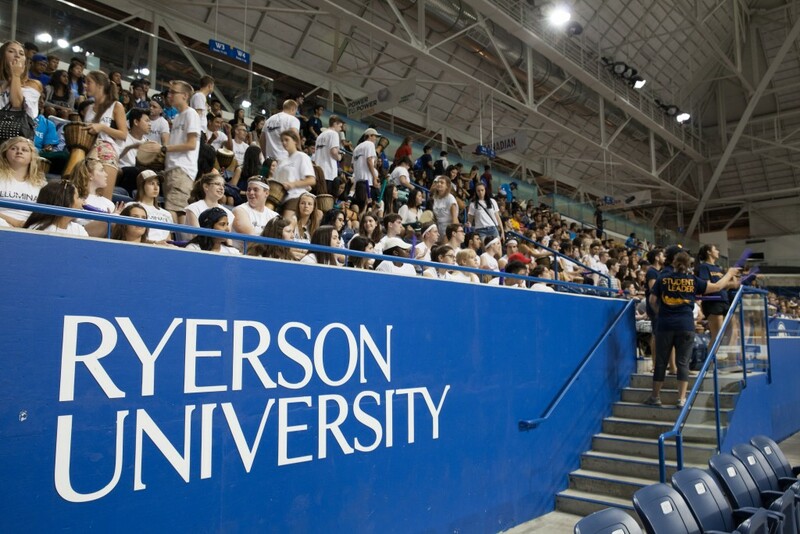 SIF gives students the opportunity to put on events that make Ryerson the active school that it is today! This year, SIF has funded many different students groups across all faculties. Some of these groups include Ryerson Women in Leadership and the United Black Students at Ryerson. Ryerson Women in Leadership put on an outstanding conference where they brought in professionals from all industries, who talked to the delegates about the struggle and importance of women leaders in the workplace. United Black Students at Ryerson held a highly successful conference where delegates from all over Canada were able to collaborate and have an experiential learning experience about working together to create equitable and inclusive campuses and workplaces. The SIF committee was thrilled to have been able to help make these events happen. Applications for this year will close on March 25, 2016 so if you have an idea for an initiative you want funding for, find out here how to submit an application to SIF. So who am I, and what is my role in this entire operation? My name is Eliza Brown. I am a second year, highly involved student taking the Retail Management program, and this year I was very fortunate to work as the SIF Administrator for Student Life Programs. My responsibilities included all the administration behind SIF, as well as organizing the weekly meetings where groups pitch their ideas and funding needs to the committee. The committee watches all of the presentations, then works together to fund the projects accordingly. This role has benefitted me in a numerous amount of ways. I have learned and improved many of my skills including organization and communication. I have also had the opportunity to get to know some interesting and inspirational people within Student Life who have come to help me in many ways. One of the greatest benefits of being a part of the committee and Student Life Programs was that I knew about almost every event that has taken place this year at Ryerson and have become even more involved! In my first year here at Ryerson, someone said something to me that has completely changed the way I view going to school: they said, “When you graduate, there will be hundreds of other students graduating with the exact same piece of paper. It is your involvement that will make you different.” Being involved with the Ryerson community has made my university experience everything I wanted it to be and more. I could not imagine going to school and only taking classes, because being involved gives you the opportunity to apply and expand the knowledge you have learned in class. If there was one piece of advice I could give to any student, it would be to get involved! If you are looking to get involved, SIF will be looking for students across all faculties to join the SIF committee for 2016-2017. More information on the responsibilities and the applications form is available on the Student Initiatives Fund organization page on ConnectRU: connectru.ryerson.ca/organization/SIF. Applications will be open March 7-18 and I highly recommend that you apply as the experience will be one you won’t regret!